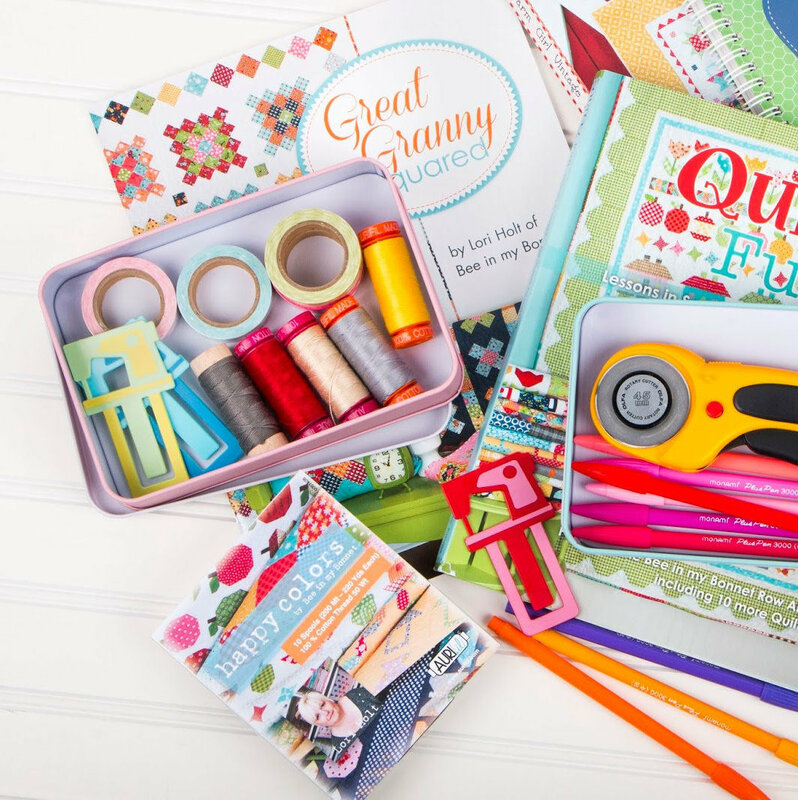 Stationery and sewing tin designed by Lori Holt of Bee in my Bonnet for Riley Blake Designs. These beautiful tins, embellished with Lori Holt's trademark gingham, make perfect gifts and can be used to store anything, especially your favorite sewing notions. Collect all six colors! 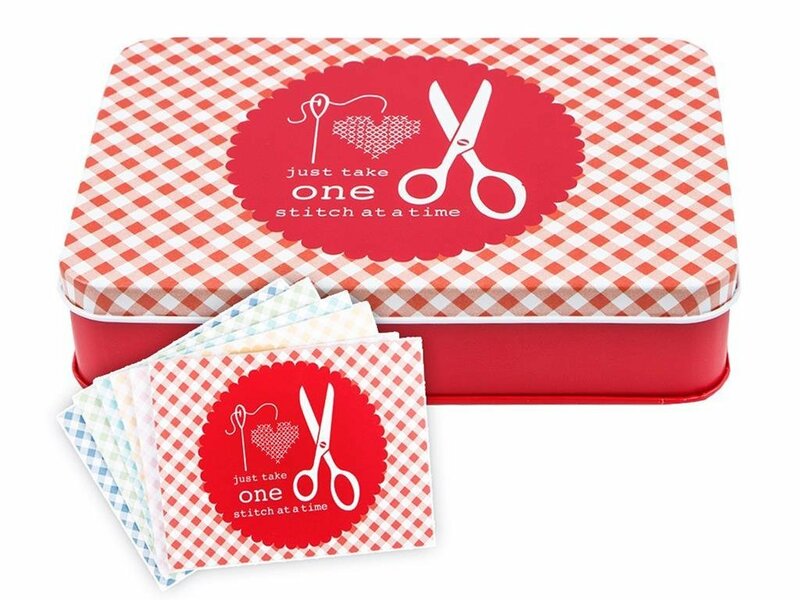 The RED tin features a gingham design with an image of sewing supplies and the words "just take one stitch at a time." Includes 2 sets of 6 assorted cards with matching envelopes!